EMA has introduced a Demand Response (DR) programme to enhance competition in the wholesale electricity market. DR enables contestable consumers to reduce their electricity demand voluntarily, in exchange for a share in the system-wide benefits, in terms of reduction in wholesale energy prices as a result of their actions. Such reductions in electricity consumption typically take place when wholesale electricity prices are high or when generation supply is tight. As such, incorporating DR in the wholesale electricity market could help to improve overall system efficiency, leading to cost savings for contestable consumers. 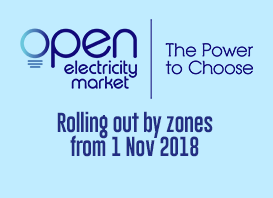 Providing an additional option for consumers to participate in the NEMS through demand side bidding and to manage their electricity usage in response to price signals. Reducing the wholesale electricity prices during peak periods as more expensive generation units need not be scheduled to run. Promoting more efficient investments in the NEMS as DR is expected to reduce ‘peaks’ in electricity consumption. In the long term, this reduces the need to invest in expensive generation units that are only run infrequently to meet ‘peak’ demand. Providing an additional resource to improve system reliability as consumers reduce consumption in response to high prices during periods when supply capacity is tight (e.g. due to unplanned outages or gas disruptions). If you are a contestable consumer and can offer to reduce your electricity consumption, you can participate in the DR programme through your electricity retailer or a Demand Response Aggregator. For further information on the DR programme, please refer to the factsheet.